This table is optional, and the default Narrative1 Word document also contains an alternative narrative template. The 'Market Area' worksheet is an optional format for developing a summarized market area analysis. The format is based on the Uniform Commercial and Industrial Appraisal Report UCIAR form. Check boxes can be marked or cleared by double-clicking in the box. Marked boxes contain an X. 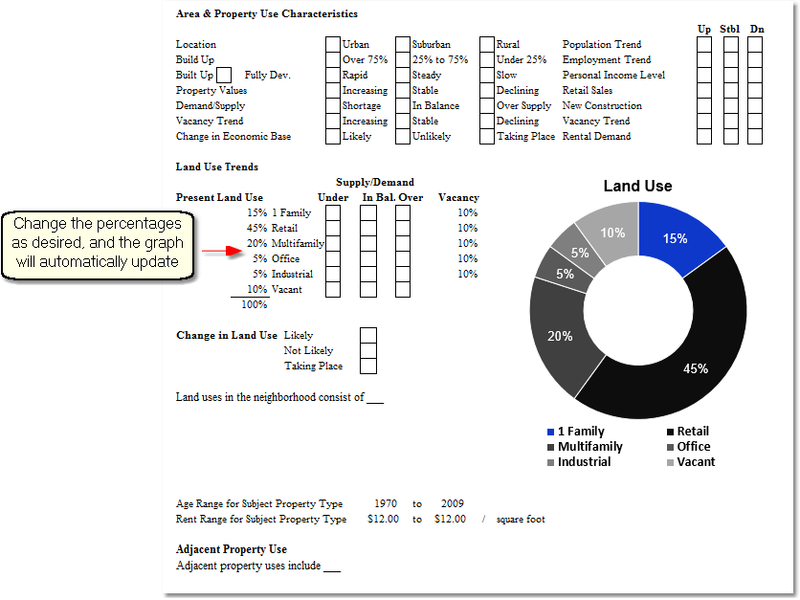 The property land use chart will update automatically when the percentages are edited. Again, this is an optional table; to remove it, simply delete the table in the Word report. Do not delete it from within the Excel file.